Most escape games follow the same routine where: you find items and solve puzzles in order to escape. Even though this might sound like the routine, the puzzles provide enough challenge to make each game unique in its own way. 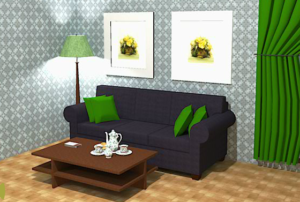 Here are some awesome options of online escape room games. Caution! Each of these games will auto-play music as they start up! Unlike other escape room games, this one isn’t about trying to an escape a room in winter. Rather, it’s about trying to get into a locked house in the freezing weather. This game is also fairly easy compared to the other games so if you’re new to point and click, escape games, then starting on this one wouldn’t be a bad idea unless you’re super confident in your abilities. This game is pretty ironic since the aim of the game is to escape your tea break, but who really wants to do that? The relaxing atmosphere set by the music doesn’t really help. Anyways, this game is much more difficult than the first, but you are given hints if you ever get stuck. Tea Break Escape is nice if you are confident in your puzzle solving abilities and want a non-stressful game. Now, this is the opposite of Tea Break Escape – it is intense and scary, though there still isn’t a timer. This is definitely a horror game. 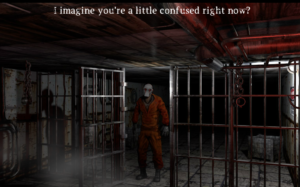 However, there is a well-designed cut scene at the start that sets the back-story for this game: You find yourself trapped in a cell with a masked killer who will be returning soon. You need to find a way to escape. Your character’s thoughts appear when you hover over things, for instance: if you hover over the chains, it will say: ‘I wonder why he didn’t chain me up?’ This helps create an aura of mystery about the narrative which players become intrigued to find out. Now, this is probably the hardest online escape room game out of all of these and you might find yourself getting frustrated a lot, but the game is very cute and you won’t regret trying to finish it. 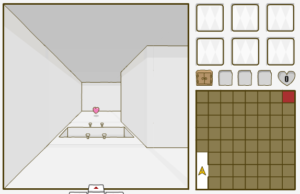 In this game, you basically navigate through a maze and try to reach the end of it. On the way, you will collect, purchase and craft items to solve puzzles. Some puzzles REQUIRE you to have the right items in your inventory, making this game quite difficult. This is a unique game and is definitely one of the best point and click games out there. The only downside of it is that you might get dizzy from turning too much, but if you can look past that, there’s an amazing experience waiting for you.